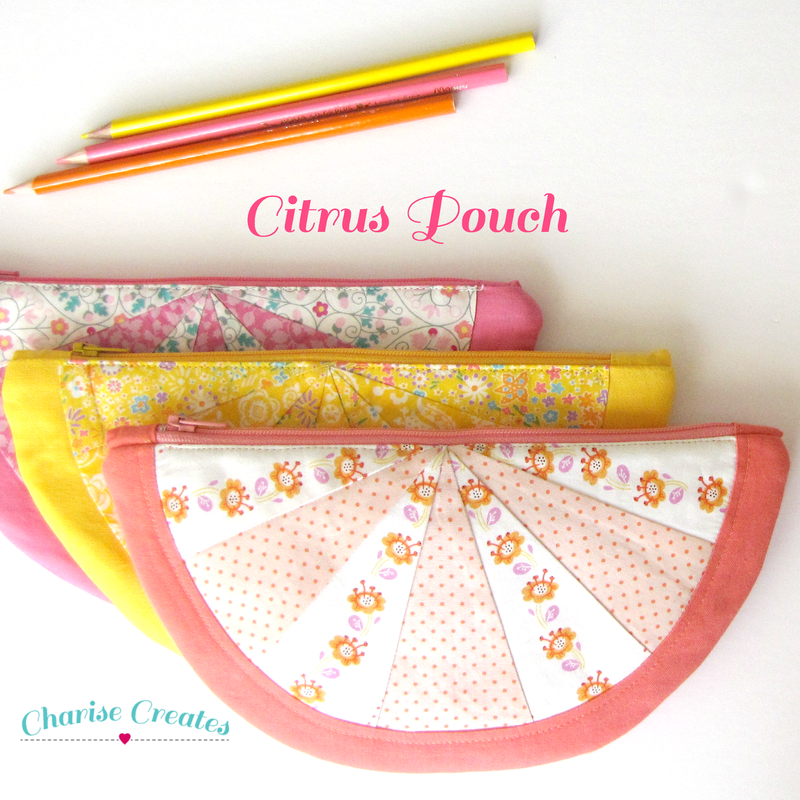 Charise Creates: New Patterns in the Shop! New Patterns in the Shop! 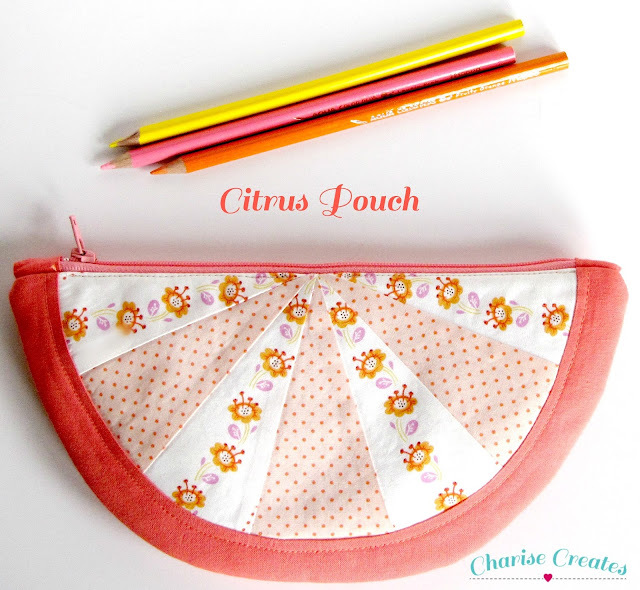 I have been busy, designing and listing a few new patterns in my Etsy shop. 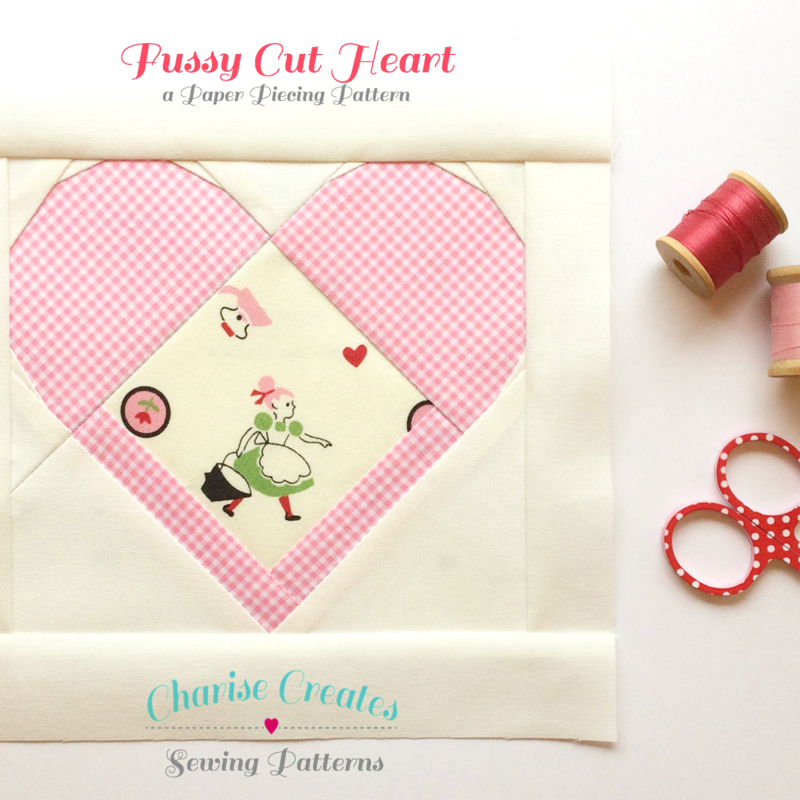 The first is just in time for Valentine's Day ~ the "Fussy Cut Heart" pattern. It comes in two sizes - 5 1/2" x 6" and 7 1/4" x 8". This is such a fun pattern to make. I have been gathering all my favorite prints and making heart blocks. They are addictive to make! 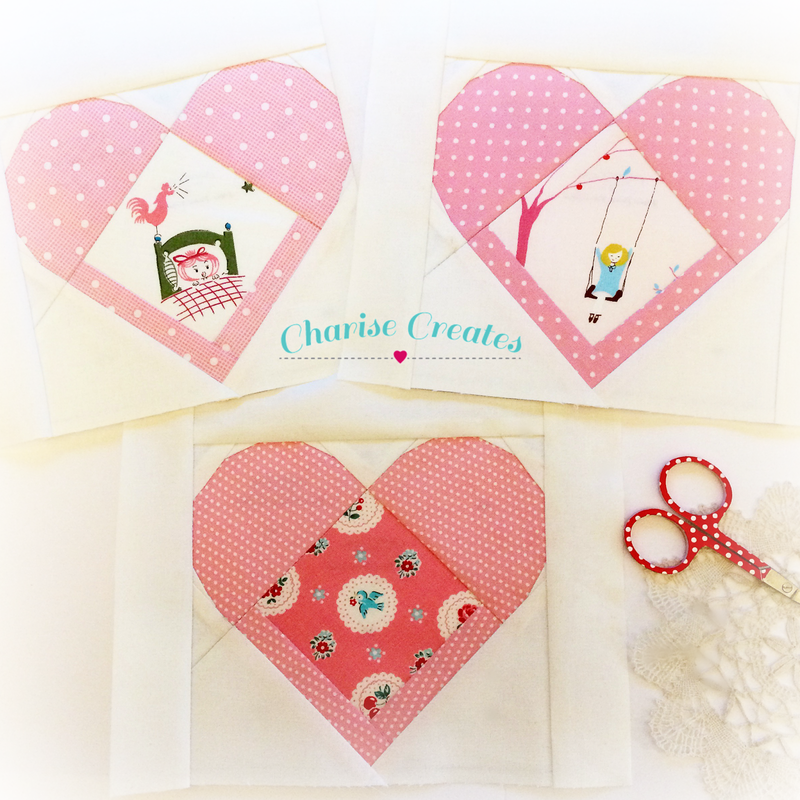 These Heart blocks are perfect for a quilt, pouch (you can use the small heart on this pouch!) or a mug rug/coaster. I am working on a mug/rug coaster which I will share a tutorial for soon! The second pattern I have been working on is my "Citrus Pouch". I designed this for the Liberty Craft Blog which no longer exists. This is an intermediate pattern with both foundation paper piecing and curved piecing. I include instructions on how to do both techniques with full color photos explaining each step. Such cute patterns. I'm sure I will be trying these down the road!